After a three-sided meeting with the Russian President, the leaders of Armenia and Azerbaijan announced that they were ready to speed up the talks on the Karabakh problem – part of the strife that has lingered since the breakup of the Soviet Union. In the statement, both Armenian and Azerbaijani presidents expressed their readiness to speed up the process of reaching agreement on the main principles of the already completed work. The presidents also praised Russia’s efforts to forge a swift and peaceful resolution of the problem. 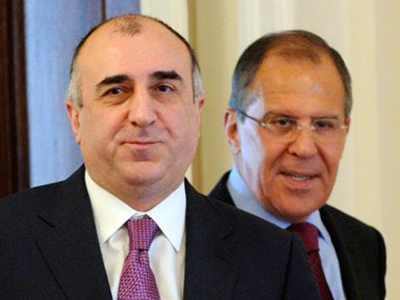 The Armenian and Azerbaijani presidents expressed their hope that Russia and other co-chairing countries in the OSCE Minsk Group – France and the United States – would continue to participate in the settlement process until peace and stability are finally established in the region. The sides agreed that further development of humanitarian contacts between the countries was one of the ways to achieve settlement and said that they were ready to further promote dialogue between the representatives of science, culture and society. 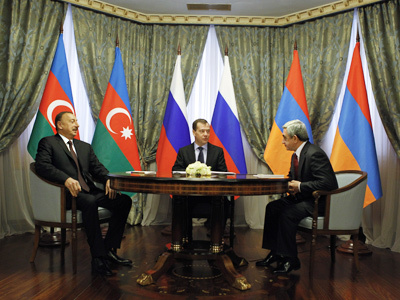 The first three-sided meeting on Nagorno-Karabakh was held in 2008. Monday’s summit was the tenth, and all sides noted that a great volume of work had been done over the period. 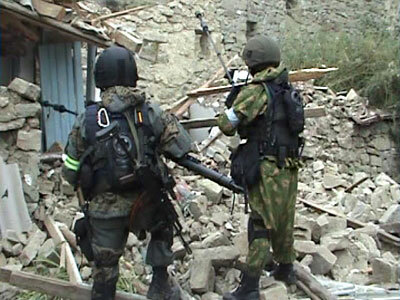 Armenia and Azerbaijan fought a war over the Armenian enclave in Azerbaijan called Nagorno-Karabakh from 1988 till 1994. 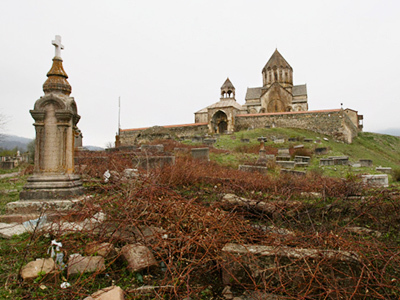 Up to 230,000 Armenians from Azerbaijan and 800,000 Azeris from Armenia and Karabakh were displaced as a result of the conflict. Russia brokered a ceasefire that was signed between the belligerents in May 1994, while peace talks mediated by the OSCE Minsk Group have been ongoing between Armenia and Azerbaijan ever since.